Locked out of your home, car, or office? How annoying! Especially when you always seem to be in a hurry when it happens! Don’t take drastic action that you may later regret, rather call the 24 Hour Locksmith Pros in Denver CO, and have your lock problems taken care of by true Denver locksmith professionals. One call and our technician will be at your side as fast as possible. 24 Hour Locksmith Pros is the leading locksmith company in Denver, servicing the entire city and surrounding areas, so if you are looking for a “locksmith near me” we are the ones to call! We have been in business for over ten years and have effective, trusted solutions for every common lock issue. 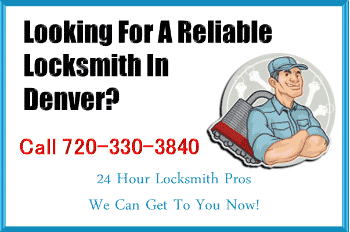 At 24 Hour Locksmith Pros, we aim to be the fastest and most reliable Denver locksmith service. We also offer an extensive range of lock smith services to ensure that we can always meet our customers’ needs. So if you need residential lock repairs, safes, security locks, commercial installations, keyless entry or car key replacement, we can help you! At 24 Hour Locksmith Pros, we provide you with an unbeatable locksmith service at a very affordable price. We may not be the cheapest locksmith in town, but we do think that we provide the best value for money. With our team, your lock-related issues can normally be fixed easily and quickly. No matter what your problem, we guarantee you peace of mind with our services. Regardless of the complexity of the job, we are always here to help you. 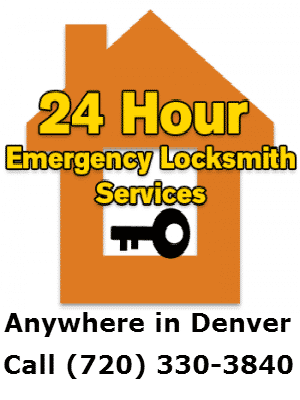 Why Choose 24 Hour Locksmith Pros As Your Denver Locksmith? The highest quality of work is assured when you use 24 Hour Locksmith Pros. With our locksmith services, you know that the work will be undertaken professionally and we guarantee that you will be very happy with the results. We understand the anxiety and stress that can be associated with lock problems. That is why we offer an efficient, prompt and reliable locksmith service to all of our customers. We make sure that the job is done well and quickly, so you can get on with your life. 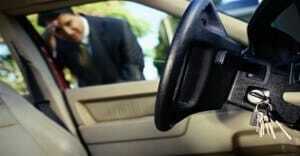 We offer a true 24 hour, 7 days a week, locksmith service throughout Denver. Knowing that there is always a reliable company like 24 Hour Locksmith Pros available to assist you with your emergency lock problems any time of night or day, can be reassuring to you. If you are locked out of your car or lose your car keys late at night, or have any other lock issues, we will be there quickly to help you. We are the answer to all of your lock related problems, whatever the time. When you really need a local mobile, emergency service, we are the ones who will be with you right away. We have a team of professional locksmiths available 24/7, for your peace of mind. On receiving your call, we will be at your car, home or business as quickly as humanly possible, so you don’t need to stress about waiting for long in potentially unsafe areas. As the comfort and convenience to our client is our highest priority, we always try to spare you from any inconvenience by providing the highest quality, rapid response, professional service. Cheap locksmith tend to provide cheap locks that get damaged easily, or break or rust. With 24 Hour Locksmith Pros, we always use the very best quality products on the market and we also provide unrivalled advice on security and safety matters which you can implement. Don’t get stressed worrying about faulty locks. Ensure that there are no security issues with any of your locks. Our locksmiths can perform a full safety audit of your home or office, testing all the locks to make sure they are functioning and of the highest quality. We can also make recommendations for security enhancements or upgrades to your current situation. 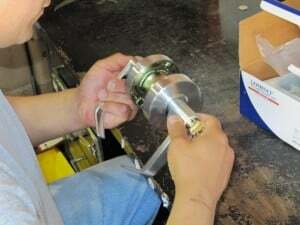 Our success in Denver is due to our highly skilled professional locksmiths. As we understand the critical nature of lock repair services, we only employ the very best technicians that Denver and Colorado have to offer. Our technicians are fully trained, licensed and bonded, so that you can be certain as to their reliability and effectiveness in the field. A courteous, professional manner is also an essential component of all our services, and all of our locksmiths have been extensively trained in customer service. Since they have been working in this area for many years, they are all very familiar with most types of lock issues and their solutions. So, for fast, high quality locksmith services, receive the best possible assistance from 24 Hour Locksmith Pros Denver. We are proud to service all suburbs of Denver. We also provide locksmith services to surrounding towns such as Lakewood, Littleton, Arvada, Greeley, Westminster, Thornton and Broomfield. We also service the city of Boulder and can provide security and non-emergency services as far as Longmont and Fort Collins. Other areas we cover include Aurora, Centennial, Englewood, Highlands Ranch and Wheat Ridge. I run a small manufacturing business in Denver. After a recent break in, I contacted 24 Hour Locksmith Pros to undertake a review of our security. George really knew his stuff! He identified a number of weaknesses and recommended and implemented some additional security measures, including master keys and CCTVs. 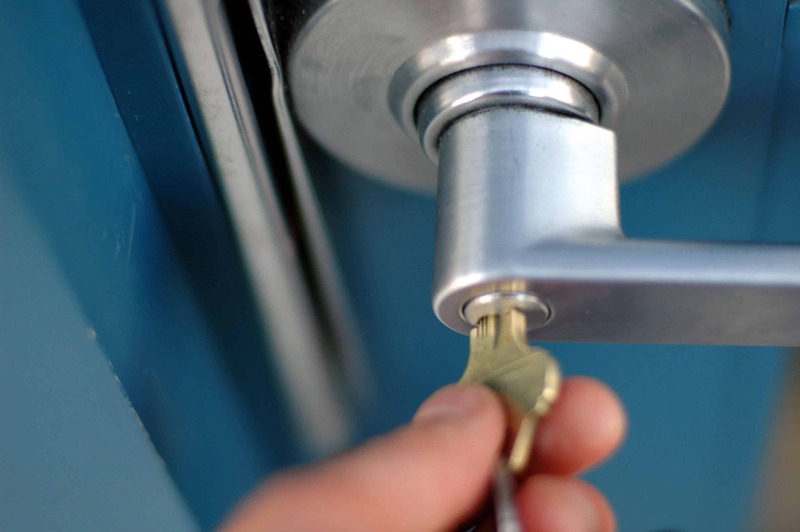 I would definitely recommend 24 Hour Locksmith Pros to review your business security. I’d locked myself out of my home. I wasn’t sure what to do, so I searched online for a local locksmith. 24 Hour Locksmith Pros did a great job. They were quick, both in response time and in completing their work, professional, polite and good value. Thanks! I was locked out of my car and needed a car locksmith fast. 24 Hour Locksmith Pros impressed me. They had a technician at my side 15 minutes after my call and opened the car door lock quickly and without any fuss or damage. Car Locksmith Denver – Call The Best! Locked Out of Your Car at Wee Hours?